In order to use certain portions of this Service, you will need to first register for membership in the Service. You are prohibited from registering for membership in the Service where prohibited by law. In addition, the Service is intended solely for users who are thirteen (13) years of age or older. Any registration by anyone under 13 is unauthorized, unlicensed and in violation of this Agreement. By registering for the Service Site, you represent and warrant that you are 13 or older and that you agree to and to abide by all of the terms and conditions of this Agreement. 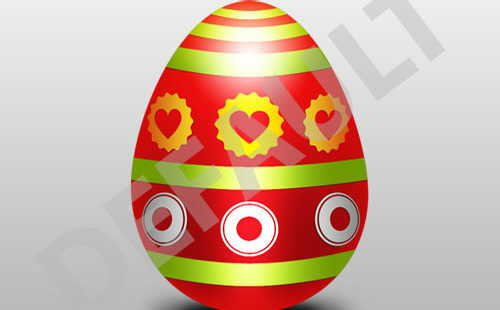 The word EGGABASE is a registered trademark of the Company in the U.S. and/or in other countries. The Company’s trademarks may not be used, including as part of trademarks and/or as part of domain names, in connection with any product or service in any manner that is likely to cause confusion and may not be copied, imitated, or used, in whole or in part, without the prior written permission of the Company. Not to access, collect or store personal data about other users in connection with the prohibited conduct and activities described in this “User Conduct” section. You are solely responsible for the content, including but not limited to photos, profiles information, messages, comments, search results edits, and other content that you upload, publish or display (hereinafter, “submit”) on or through the Service, or transmit to or share with other users. You may not submit content to the Service that you did not create or that you do not have permission to submit. You may not submit content that is not compatible with the license used by the applicable project of the Service to which you are submitting content. You understand and agree that others may, but are not obligated to, edit, delete or remove (without notice) any content from the Service, for any reason or no reason. You also represent and warrant that you own or have the necessary licenses, rights, releases, consents, and permissions to (a) permit the Company to copy, store, publish, display, and distribute your content via the Service, and (b) license all text submissions by you on the Eggabase community pursuant to the applicable Licensing terms (for further information, see http://www.Eggabase.com/Licensing). The Site is not and shall not function as an archive. We have no liability to you or any other person for loss, damage, or destruction to your content. You are solely responsible at your sole cost and expense for creating backup copies and replacing any content you post or store on the Service or provide to us. Articles and content that appear on Eggabase.com or Eggabase subdomains and subdirectories such as articles.eggabase.com and eggabase.com/articles (collectively, the “Original Content Site”) that are created by the Company or one its contributors are the exclusive property of the Company and its licensors (“Company Original Content”). Except as explicitly provided herein, nothing in this Agreement shall be deemed to create a license to the Company Original Content, and you agree not to sell, license, rent, modify, distribute, copy, reproduce, transmit, publicly display, publicly perform, publish, adapt, edit or create derivative works from the Company Original Content. Subject to the terms and conditions of this Agreement, Company provides you with a license to use the Company Original Content for your personal, noncommercial use only. Company may terminate this license at any time for any reason or no reason. Use of Company Original Content for any purpose not expressly permitted by this Agreement is strictly prohibited. The Service includes access to audio and/or visual content (including videos, photographs, music, graphics, logos, etc. ), which has been licensed for use and exhibition herein from third parties (“Media Content”). Such Media Content may be accessible via a player embedded on the Site, which links to and plays content hosted on other sites or services (“Media Player”). For claims of copyright infringement, please see http://www.eggabase.com/legal/copyright-claims for a guided form that will allow you to fill out the required elements of a DMCA takedown notice. You may also email Eggabase management at Support@GlitchGuards.com. Please include “Claim of Copyright Infringement” in the subject of your email. For clarity, only DMCA notices should go to Eggabase management. While we provide policies and guidelines for user conduct and submissions, the Company does not control and is not responsible and is not liable in any manner for any user content submitted to the service. You agree to indemnify the Company, its directors, employees, owners, agents, and users from any liability resulting from your use of this Service or its content or other materials thereon. In no event will the Company, its directors, employees, owners, agents, or users be liable to you or any third party for any indirect, incidental, consequential, special or punitive damages, including lost profit, goodwill, or other loss, be it tangible or intangible, arising from your use of this service or any content or other materials thereon, even if the Company has been advised or was otherwise aware of the possibility of such damage. Notwithstanding anything to the contrary contained herein, the Company’s liability to you for any cause whatsoever, and regardless of the form of the action, will be at all times limited to the amount actually paid by you, if any, to use the service, not to exceed one-thousand United States dollars. You further acknowledge that if no fees are paid to the Company to use this Service, you are limited to injunctive relief only, and are not entitled to damages from the Company regardless of your cause of action. IN ADDITION, THE COMPANY DOES NOT REPRESENT OR WARRANT TO YOU THAT (A) YOUR USE OF THE SERVICE WILL MEET YOUR REQUIREMENTS, BE THEY EXPRESS OR IMPLIED; (B) THAT ANY INFORMATION OBTAINED BY YOU AS A RESULT OF YOUR USER OF THE SERVICES WILL BE FREE OF ERROR, ACCURATE OR RELIABLE; (C) THAT ERRORS IN FUNCTIONALITY OR OPERATION OF THE SERVICES WILL BE CORRECTED.